So I love music, but I am not a musician. I’m a really-really-wanna-be musician, wishing I would not have quit playing violin sometime around the 6th grade (just because I didn’t like the teacher) or wondering if I could still learn to play piano. Anyway, I if I am not listening to something and reading the liner notes word for word, I might be checking someone’s tour schedule, seeing who has a new album coming out soon, or getting free CDs from JQ99. 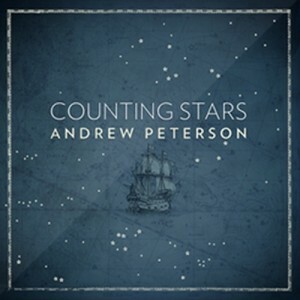 While doing the tour checking thing a couple months ago, I found out that Andrew Peterson would be playing not too far from here. He’s a folkish, storytelling sort of singer who was amazing live. It was a rare treat. I have listened to the songs of his latest CD, Counting Stars, countless times. Around the same time, I came across Under the Radar, a radio show “offering gourmet music,” where Andrew was going to be a guest host. 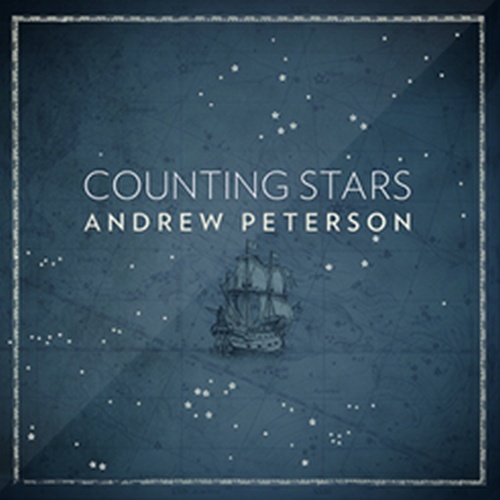 They were also having a contest, giving away some Andrew Peterson stuff, which I entered on a whim and had pretty much completely forgotten about when I was notified of this. Since I already had a copy of the CD and actually the first book (which is currently residing in an unknown box), I decided spontaneously while typing a facebook comment the other day that I would have my own little contest to give away my “old” CD since I will soon have a shiny, autographed version. It is good timing, since I’d been meaning to unveil this blog sometime soon. What better way than with a contest? Contest is now over. Thanks to the 3 commenters for playing! If I can find the book, maybe there will be 2 winners! 3 Responses to What’cha listenin’ to? I think the song with the most plays is probably some Miley Cyrus or Jonas Brothers song that the kids adore. My current favorite is Hot Chelle Rae’s “Tonight Tonight” – very pop radio of me. How awesome you are blogging! Will be fun to have another way to share life with you! As for what I am listening to? I still mostly listen to Roger (Clyne and the Peacemakers) esp when I am cruising in the car alone…but these next few days will be filled with a u2 refresher since the concert is just 6 days away. woot! I love your first few posts….awesome. It’ll be fun to keep up with you via the blog. I hope to get one started again soon.